(July 22, 2015, Ottawa, ON) Minto Communities is excited to announce the construction of five of the most energy efficient homes in Canada, now within reach for the average homebuyer. With support from Natural Resources Canada’s ecoENERGY Innovation Initiative (ecoEII), Minto is investing in this initiative with leading residential experts in building science and energy efficiency to plan, design, and construct five zero energy homes. 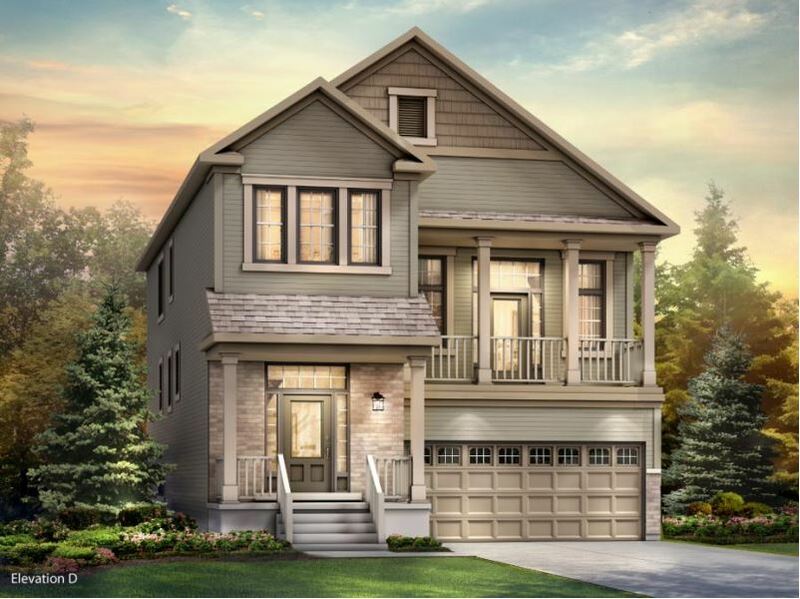 The homes, to be built in Kanata’s Arcadia community, are all designed to deliver Net Zero Energy (NZE) performance, meaning that they will produce as much energy as they consume on an annual basis. The goal of the project is to take what were once one-off, high performance custom homes and make them accessible to the everyday consumer. The project was made possible with financial support and in-kind contributions from Natural Resources Canada (NRCan), Owens Corning Canada, builder partners like Minto, and the building industry. “Minto is excited to be a part of this great partnership with Owens Corning Canada. The ecoENERGY Innovation Initiative is a natural fit for us and benefits Minto homebuyers, for whom we’ve created better and healthier communities for 60 years,” said Brent Strachan, Senior Vice President, Minto Communities. “Minto is a leader in the Canadian homebuilding industry and has proven that it can bring exciting new high performance homes to the market. We are delighted to be partnering with Minto on this project,” said Andy Goyda, Market Development Manager at Owens Corning Canada. Minto expects the five NZE homes in Arcadia to be completed within the next 12 months. The Killarney model home is already under construction and will be finished this fall, followed by four townhomes in in spring 2016. Early results from Minto's Arcadia project show a 75 per cent reduction in the required energy for space heating and cooling for the NZE homes. It is expected that 30 to 40 solar photovoltaic (PV) panels on the roof of each home will allow homeowners to connect to the Ontario electricity grid and off-set electricity consumption. In the early 1990’s, the Innova Home was built in the Emerald Meadows community in Kanata at a time when Minto became the largest builder to offer R-2000 homes. In 2008, Minto Inspiration was the highest rated LEED® Canada for Homes project in the country and Minto’s Harvest Hills show home was the first ever LEED® Canada for Homes project to achieve certification. From 2009 to 2012, Minto was also part of CMHC and NRCan’s Equilibrium Communities Initiative, which researched the feasibility of building zero energy homes on a community scale. In 2012, 180 Kent became the first and largest LEED Platinum Core and Shell office tower in Canada and was named the National Outstanding Building of the Year (TOBY®) by BOMA. Also in 2012, Minto Stonefield Flats, the largest registered LEED® Canada for Homes multi-family community, received a LEED Silver certification. The efficiency of a NZE home is partly attributed to advanced insulation techniques, including the Owens Corning™ CodeBord® Air Barrier System and other high performance systems. More information about the ecoEII Owens Corning Net Zero Project can be found at http://zeroenergy.ca. Now in its 60th year of operations, The Minto Group is a family-owned, fully integrated home builder, construction and property management company based in Ottawa with operations in Canada and Florida. Since 1955, The Minto Group has built more than 80,000 new homes, manages more than 17,000 residential rental homes and apartments, and carries a commercial portfolio of more than 2.5 million square feet of office, retail and industrial space.